US Republican Senator Rand Paul has called on President Donald Trump to scrap his plans for extending years-long American military presence in Afghanistan and spend the Afghan War funding at home instead. “I think the Afghan war is long past its mission,” Paul told CBS on Sunday, referring to the 2001 invasion and the following occupation of Afghanistan by American forces. “I think now it’s a nation building exercise. We’re spending 50 billion dollars a year. And if the president really is serious about infrastructure, a lot of that money could be spent at home,” he argued. The Kentucky senator, who bowed out of the 2016 Republican presidential primary after failing to compete with Trump, said the US had no business rebuilding the war-ravaged country or build bridges and buildings in Pakistan. Since Trump took office, the number of troops has nearly doubled in Afghanistan – from 8,500 in early 2017 to 14,000 today. US officials have estimated that the military presence in the war-torn country will cost taxpayers more than $45 billion this year. Paul said Trump was one of “the least interventionist” US presidents but he was surrounded with people who kept telling him there was a military solution to the Afghanistan debacle. The second longest war in the US history, which has killed over 2,000 American soldiers and injured 20,000 more, has cost the US economy more than $714 billion dollars, according to the Pentagon’s Special Inspector General for Afghanistan Reconstruction (SIGAR) July report. 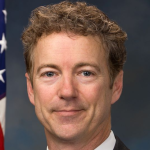 Paul said in his interview that American voters wanted Congress to have a say in governments’ plans for invading other countries. “We’re actively in war in about seven countries and yet the Congress hasn’t voted on declaring or authorizing the use of military force in over 15 years now,” he said. -developing scenarios with global impacts. It is all about global resources- you certainly don’t op to lose your livelihood.